My mother taught me how to sew doll clothes when I was about 10 years old. She also gave me my first sewing room . . . a screened-in porch off the garage in the house my family rented when we first moved to Erie, Pennsylvania. 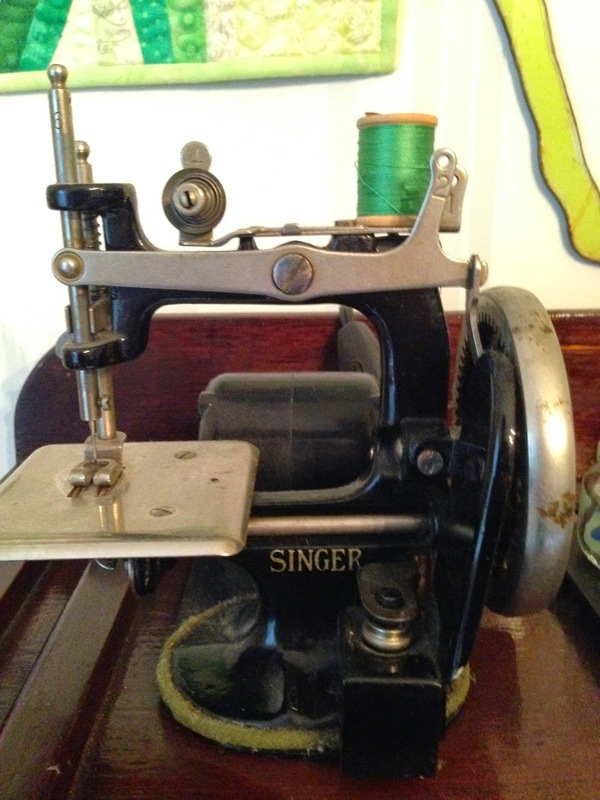 I set up a small table with my mother's tiny child's Singer sewing machine and all my supplies. My younger brothers had free range of the back yard and the playground across the street, but unless it was raining, they stayed off the porch. I couldn't sew in the winter, but it was mine. At least until it started to snow. In high school I learned how to make clothes for real people (my first project was a pink gingham sleeveless blouse, which I marked with a dark navy blue pencil . . . I was a disaster at real people clothes) and I took a fiber arts class, which I absolutely loved. My final fiber arts project was a hooked rug. My mother helped me design a rather modern looking garden using dinner plates and bowls as patterns for round flowers. I chose a palette of pinks, magentas, and greens. Everything was lovely. Until the night before the rug was due. My mother was out of town visiting my grandmother. I came downstairs crying because I wasn't finished and yes I had been working on it but now it was midnight or something and I couldn't get it done and I didn't want to get in trouble . . . That was when I taught my father how to hook rugs. It was his first and last rug hooking project. Mine too. That was the first time I didn't meet a deadline (or finish my homework on time). Unfortunately it wasn't the last. Despite the rug-hooking incident, I loved all textile-related crafts. 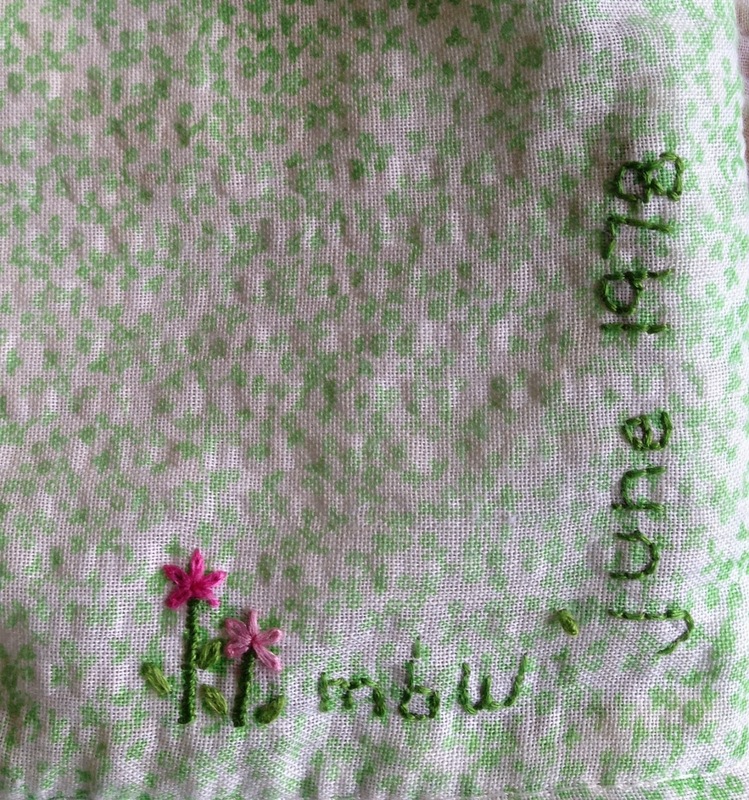 I cross-stitched, embroidered, needlepointed, creweled, and crocheted (the hideous bonnet I made when my sister was born is still mentioned periodically). But nothing stuck until I learned how to quilt. I don't know how I convinced my mother to take the quilting class with me. I had just graduated from high school and I had three younger brothers and a younger sister who was only 5 years old. My Mom must have been swamped with stuff to do at home, but she came anyway. Our project was a churn dash pillow. Mine was pink and mint green, gingham and seersucker. The lady at the store told me these fabrics would not work. 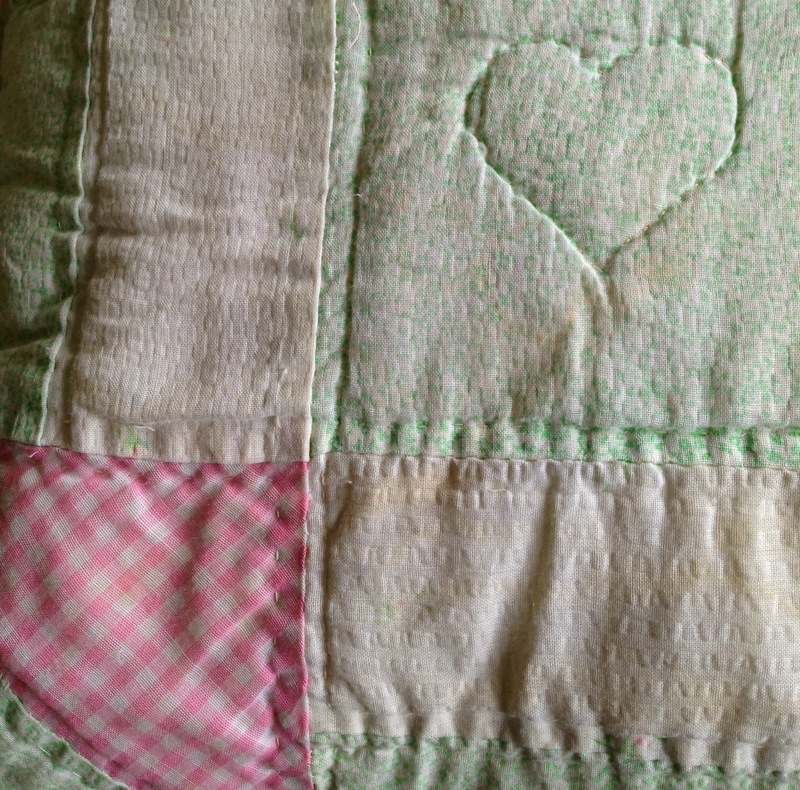 Before I'd even started I was a quilting rebel. (Quilting was the only thing I was a rebel at . . . I went to Catholic school and was always afraid of getting yelled at. My whole goal in life was to have no one notice me.) I didn't want to be a rebel, but I wasn't going to back down either. I liked learning to quilt, but my favorite part of my seersucker and gingham project was embroidering the label, so at first I used my quilting to "frame" my cross stitch projects. After I graduated from college, I moved to Columbus, Ohio. One of my (many) jobs was at a very small company that published research synopses for the medical and legal fields. It was, perhaps, the most boring, awful job I've ever had (and that's counting my summer as a hostess at a steak house). But just down the street from the office was The Glass Thimble, a quilt shop and stained glass studio. I spent many of my lunch hours happily, wandering around the shop, and it was there that I learned to machine piece, rotary cut, and hand appliqué. I learned how to machine quilt in Alexandria, Virginia. I added a few kids to my household. My sewing room moved from the garage to the basement, to the kitchen, to the dining room. I sew almost every day, even if it's only for 15 minutes. I still like pink gingham. Or any kind of gingham. I admit the seersucker was a mistake.